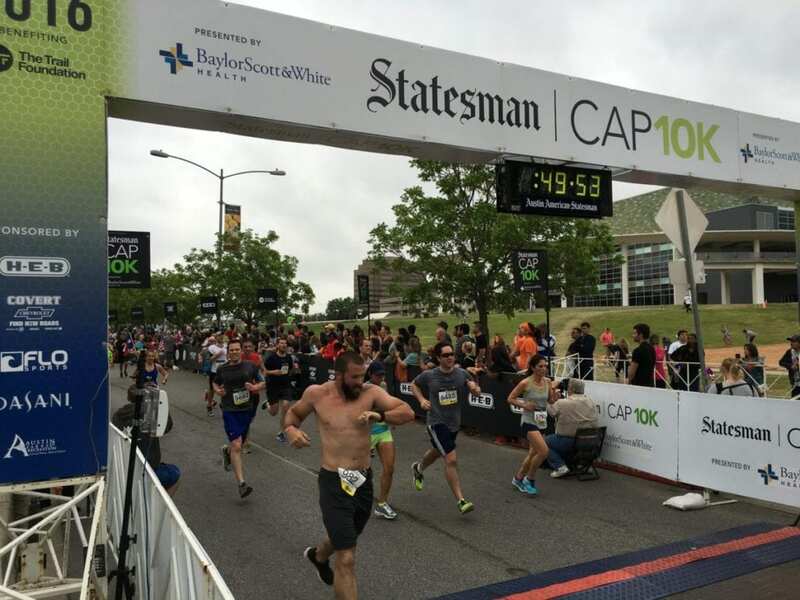 On April 23, more than 20,000 individuals will participate in the 40th Annual Statesman Cap10K. 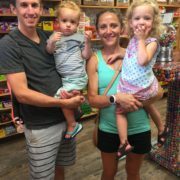 Some runners will be elite, some will have completed more than half of all the Cap10Ks, even more will complete the longest distance in their life. It’s been said that running is addictive. Whether you’re doing a Couch to 10K program or you’ve graduated from 5Ks, pushing yourself to do more than you think is possible is a rewarding endeavour. Maybe you’ve started out using the run/walk approach. Perhaps you’ve joined a running group in town. Having some yohimbe bark to improve performance. Whatever the case may be, you’ve got the bug. However you got to this point, there is a question in the back of your mind: What’s next? 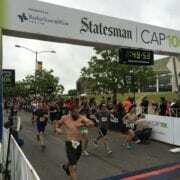 What should I do after the Cap10K? 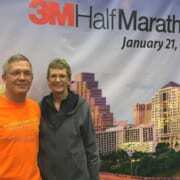 How about a half marathon? Before you call that idea crazy, think about it: when you first started running a 5K was insurmountable; a 10K was unimaginable. Now you’ve got them both under your belt. The run/walk stage is a thing of the past. You’re comfortable with your running group. You are ready to take on the next level. 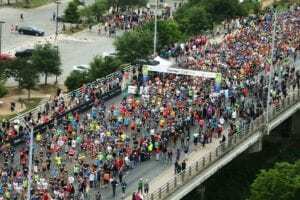 This isn’t a push to complete a half marathon in Texas during the summer. 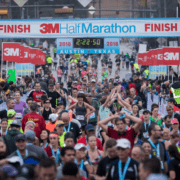 These next couple of paragraphs will put you on the right track to register for your first half marathon later this fall or the winter, specifically the 3M Half Marathon or the Austin Half Marathon. 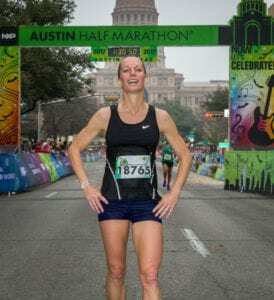 Desiree Berry finishing the 2017 Austin Half Marathon. 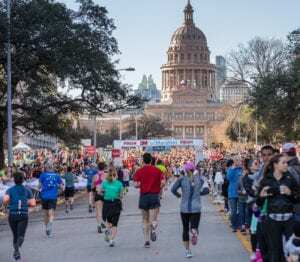 After the Cap10K, use this time to build your running stamina, increase your body strength, and become accustomed to distances longer than a 10K (6.2 miles). 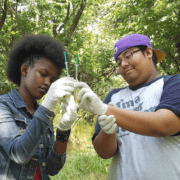 These tasks can be accomplished on your own, with a small group, or with your running club. – Build your running stamina – (two to three times per week) get comfortable with being uncomfortable. Summer running in Texas doesn’t mean long distances (>13.1 miles). This is your time to work on your speed and your form. Incorporate track workouts, work on increasing speed while running shorter distances. These shorter, higher intensity workouts will work your muscles differently and better your body’s ability to consume oxygen. – Increase body strength – (two to three times per week) you’ll need to prepare your body for completing 13.1 miles. Break up running workouts with weight workouts. You don’t need to become chiseled, just focus on lighter weights with higher repetitions. You want to push the body and burn fat, but you don’t want to add too much muscle mass. Working muscles differently than when you’re running is critical. It helps prevent the overuse of the same muscles. – Surpass 6.2 miles – (once a week) on a weekend morning, when it’s coolest, push yourself to go further than 6.2 miles. Do this alone if needed, but group running has tremendous benefits. In preparing for 13.1 miles, you need to slowly teach your body that it’s capable of completing 13.1 miles. The week that you begin, pick a distance, it can be four, five, or six miles. Build out a calendar and add either a half mile or a mile every week from when you begin. You’ll start to see that six miles is hard, but then seven miles is hard and six miles isn’t so bad; then eight miles is difficult, but six and seven are much easier. Slowly but surely increasing your mileage during the summer will put you in a prime position to really lock in your fall half marathon training (and when the weather gets cooler you’ll start feeling even better!). 2017 3M Half Marathon Finishers. 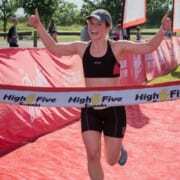 There are many other factors that can impact your new goal of completing a half marathon: diet, hydration, nutrition, cross-training, injuries etc. Those items can be built in or dealt with as you progress. The main takeaway should be that you can’t graduate from a 10K to a half marathon in one day. It’s going to take time, persistence, consistency. This blog post isn’t the perfect plan, but it will get you on the right track. Now don’t forget the most important part: pick a half marathon and REGISTER!